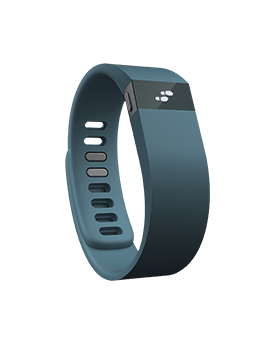 We’re in the process of finishing off a review of the Fitbit Force and so far are more impressed with this little tracker than most of the rest of the current crop of fitness gee-gaws. However, we just noticed that the most recent update to the iOS software that forms the brains of the tracker has just been updated and for those that don’t own a FitBit device (the Force, Flex, One, etc.) but have an iPhone 5s it’s now possible to use the motion data right from the iPhone to track your workouts. The iPhone 5s includes a “M7” coprocessor that tracks movement independent of the main processing chip, which is designed to provide movement data without draining the battery. A few apps with M7 support are already available, but the FitBit software is particularly clean and simple, and having the M7 support provides a nice path for someone thinking about getting a fitness tracker to try out the world of activity-counting without having to first buy the branded device. Full review of the Fitbit Force soon.